You'll love our monogrammed quarter-zip jackets! 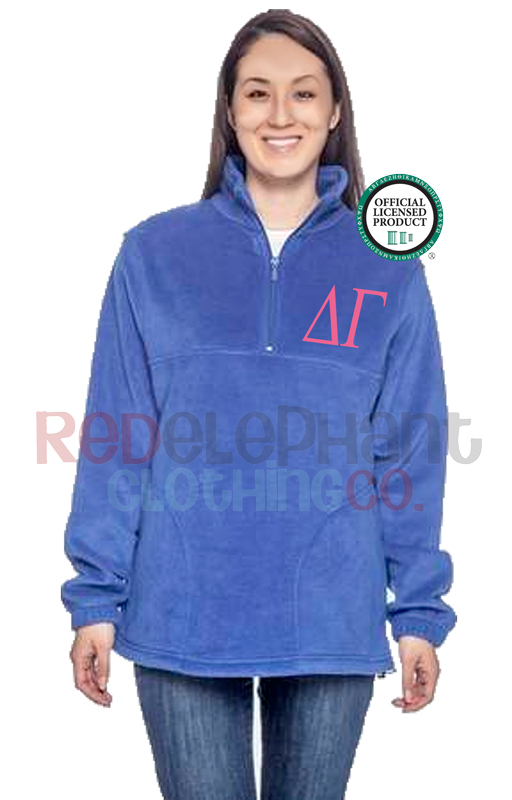 Stay warm and cozy this fall with our unisex fit quarter zip pullover embroidered with your sorority's Greek letters. 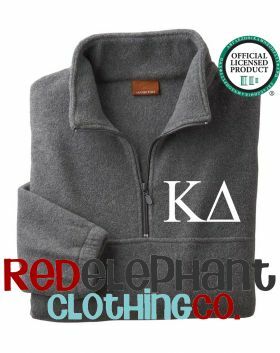 You'll add your letters and choose your thread color to make your Kappa Delta jacket unique! 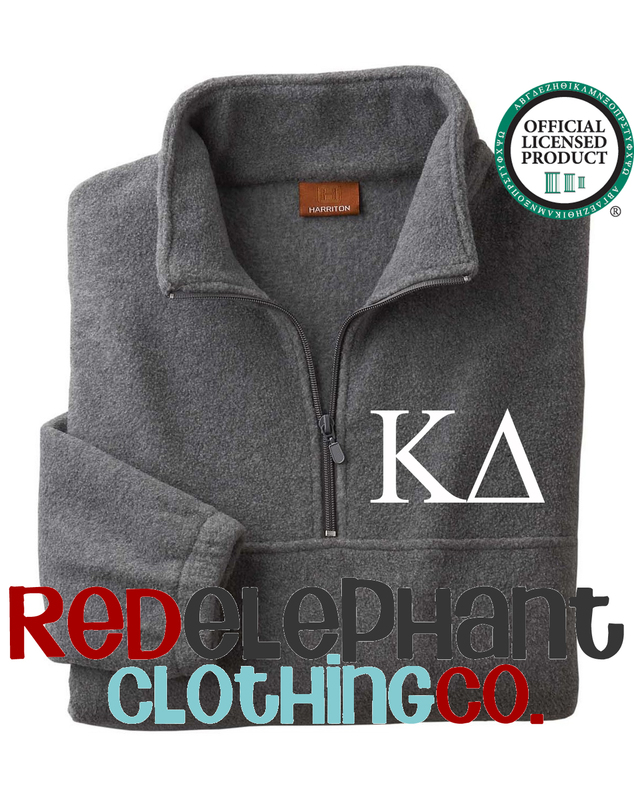 Your new Kappa Delta jacket is made with midweight 100% spun soft polyester fleece and is highly breathable. 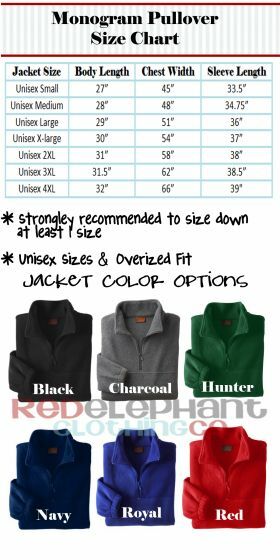 The jacket has 2 pockets in the front and has non roll elastic cuffs on the sleeves. These oversized jackets feature a bottom hem with an inside casing that has a draw cord and toggles. 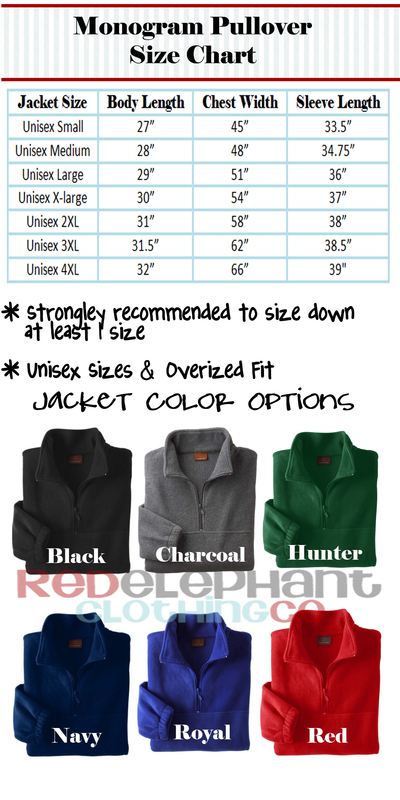 Measurements are of the actual garment. Chest width is measured from side seam to side seam at the widest part. Full body length is from shoulder seam to hem down the front of the garment. Sleeve Length is from shoulder seam to hem of wrist.